Have a tree needing trimmed? Or maybe you need one removed completely? Hammonds Custom Lawn Care can help. 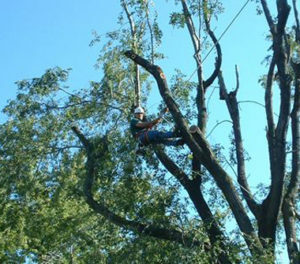 Owner Geoff Hammonds has the skill and equipment necessary to trim or fell any size tree. Ensure your property is safe, and the job is done right, choose Hammonds Custom Lawn Care for all your tree service needs. Call us today for a consultation at 618-925-4598!